Mathematics. Science. Language Arts. Social Studies. Music. The Arts. When it comes to what is taught in Kingsport City Schools, these are likely the subjects that come to mind. While they form the core foundation of who we are and what we do, there are other words that also describe the values we work to instill in our students and throughout our educational community. Selflessness. Commitment. Integrity. Thankfulness. Dedication. Service. 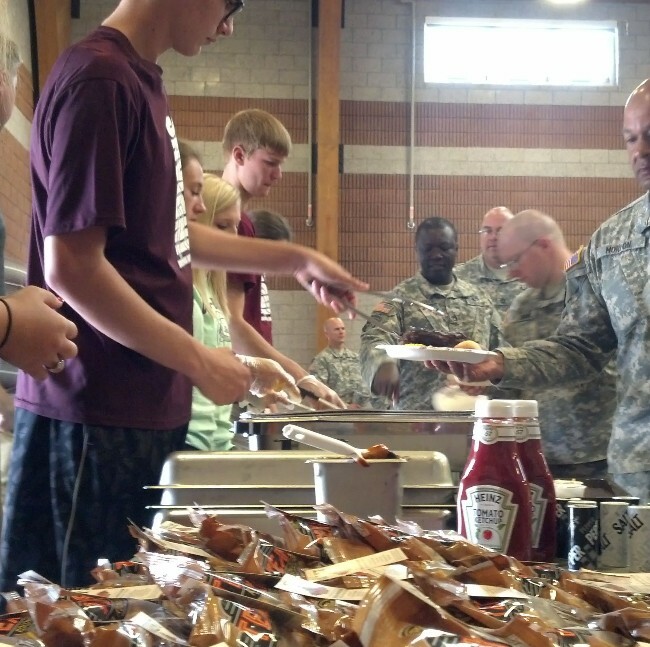 These were the types of life skills demonstrated by the Dobyns-Bennett Girls and Boys basketball teams on Saturday, August 9, 2014 as almost 30 D-B student-athletes turned out to help serve lunch to members of our local National Guard. 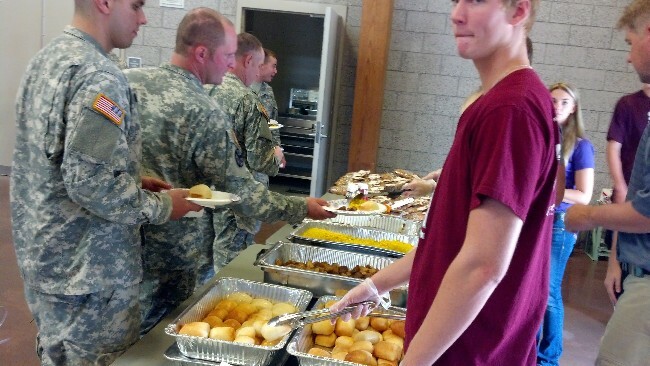 Led by D-B coaches Bill Francis and Charlie Morgan and supported by the Kingsport Texas Roadhouse, these young men and women took time out to, in some small way, show their appreciation for the sacrifice provided by the members of the National Guard. And though the service provided by these students may pale in relation to those that have risked their lives to protect our freedoms, this act of giving back can help to solidify a foundational understanding of the importance of personal sacrifice. To be successful on the court, these athletes must show a high level of commitment and dedication in the classroom, during practice, and on game night. But to ultimately be successful in life, they need to learn the importance of developing and using those same skills in the broader picture… How sacrifice, service, and appreciation will increase the impact of both their lives and the lives of those around them. These are the lessons our faculty and staff work to instill on a daily basis. By volunteering to serve others, these young men and women demonstrate they are learning this critical skill that, beyond anything that can be taught in a book, will make them ultimately successful in life. 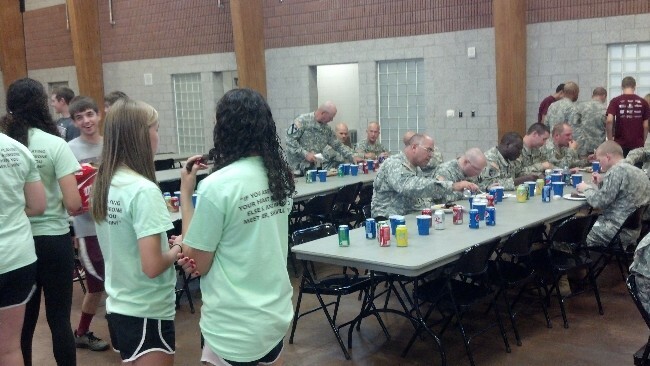 We Serve… We Are KCS! Click here to view Nick Shepherd’s full review in the August 10, 2014 Kingsport Times-News.